(Austin, TX) – Austin – it’s a wrap! Miles Davis House, an annual SXSW day party hosted by The Miles Davis family, officially wrapped 2019 – featuring a highly, eclectic bill of multi-genre artists at iconic venue Antone’s. Headliner Miles Electric Band, a rotating ensemble featuring the musical alumni of Miles Davis, in addition to contemporary players, made its successful Austin debut, featuring Keyon Harrold, the trumpeter behind Don Cheadle’s performance in the film “Miles Ahead,” Robert Irving, III, Antoine Roney, Munyungo Jackson, Richard Patterson, DJ Hapa, Vince Wilburn, Jr., with featured sit-ins by Micah Nelson and Carter Arrington. Blues/Soul royalty Cedric Burnside, grandson of blues legend R.L. Burnside, was so magnetic in his performance, Rolling Stone featured him in their SXSW recap “30 Best Artists We Saw In Austin.” Particle Kid’s Micah Nelson epitomized true rock ‘n roll dynamics, while also sharing the stage with folk-punk poet Sunny War. David Wax Museum endeared the crowd with its folk/roots-rock blend of traditional Son music with Americana. Chicago’s Dos Santos brought it on with its mesmerizing Latin dance flavor with psychedelic flare, Columbian Cumbia to Afro Caribbean salsa. Nashville guitar duo, Striking Matches, played a fresh combination of country, blues, rock and pop, with skilled, authentic showmanship. 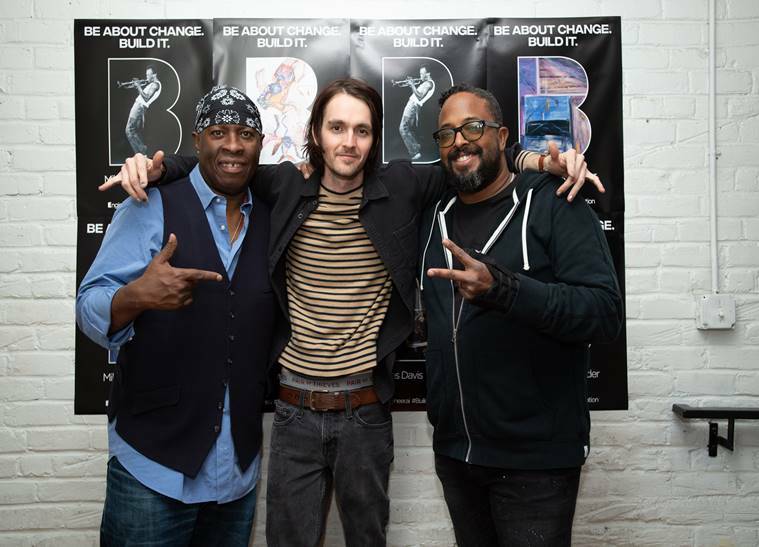 Miles Davis House was Powered By Builder By Engineer.AI and presented by Miles Davis Estate in association with Riviera Imports (Kind Of Blue Scotch Whisky) and Legacy Recordings/Sony Music Entertainment. Erin Davis (son of Miles Davis) and Vince Wilburn, Jr. (nephew of Miles, drummer/bandleader of Miles Electric Band) were event hosts. In the spirit of Miles, the celebration promotes music, art and cultural progressiveness. This year Miles Davis House teamed up with innovative platform Engineer.ai to power its guest management through its Builder product. Engineer.ai empowers anyone with an idea — from e-commerce platforms to social apps — to build it without learning to code. Combining AI+human developers to create a software assembly line, Builder delivers custom software products quickly, simply and affordably. As a result, an entire #BuilderGeneration — from individual dreamers, to entrepreneurs, to enterprise-scale solutions for businesses— is emerging and realizing their dreams. A technology partner for life, Engineer develops, hosts, and maintains custom software for its customers. Miles Davis, one of the most innovative and influential figures in music, epitomizes the #BuilderGeneration. Throughout his career, he constantly innovated, breaking down barriers and appealing to broader audiences across genres. As a result, he inspired entire generations of innovators, making Builder and the Miles Davis Estate a natural partnership. Engineer.ai works to inspire an entire #BuilderGeneration of dreamers, creative individuals and companies to build their technology ideas.